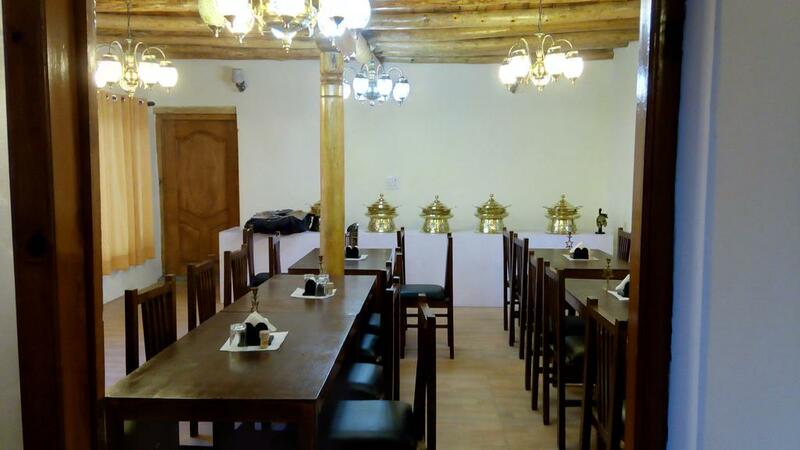 Situated on Diskit Turtok Highway Lotus Eco Resort in Leh is a budget accommodation. This property features rooms overlooking the Himalayan ranges.Hundar Sand Dunes is 10 km from resort.Each of the 12 rooms are spacious and are equipped with amenities like wardrobe, sitting area and an attached bathroom with constant supply of hot and cold water.Additional services provided at the property are room service limited hours and laundry. Internet/Wi-Fi, Backup Generator, Restaurant, Laundry Facilities, Airport Transportation, Room Service, Family/Child Friendly, Swimming Pool, Complimentary Newspapers in Lobby, Parking. House Keeping, Air Conditioning Room, Complimentary Newspaper, Television Room, Dustbins, Ceiling Fan, Bottled Water in Room, Makeup/Shaving Mirror, Telephone, Luggage Rack. User reviews for "Lotus Eco Resort Leh"